How Long Can Your Child Stay Focused and How Can You Help? Children’s attention always shifts from one thing to another rapidly and it’s almost impossible for them to stay focused for a long time. We all know this roughly as we all experienced it when we were young. But what does this mean for parents? How can you help them to keep concentrated while they are doing something challenging, like taking Mandarin Chinese lesson? As a young mom or dad, after reading this, you would know why you should never leave your little child staying alone or with other young kids for a long time unattended. They can’t focus on most of the TV series or only play safe games for a long time. They could change their mind randomly. Also, before you sign up an after-school class for your child, it is important to know how long the class would last each time. When you already knew the typical amount of time that children of your child’s age can stay focused for, you can make a better prediction on whether it would be a successful decision. If the class lasts way longer than your kid’ duration of focus, it will be harder for them to have fun during the class and even to follow the teacher all the way. What scientists say about the duration that children can stay focused? On average, a normal child can concentrate for 2-5 minutes per year old they are. This means that as a child grows up, the duration the child can keep their attention focused on a certain thing will go longer gradually. For example, for kids that are 3 years old, the typical duration is around 10 minutes, (6-15 minutes). And when they turn 4, they can keep their attention concentrated for about 14 minutes, (8-20 minutes). Besides the age difference, the duration your child is able to focus varies depending on many other factors. This includes the type of the task (assigned vs voluntary task, interesting vs boring tasks, etc.,); the level of distraction in the environment; whether the task is done alone, with parents/teachers, or with other children, and so on. It’s not hard to understand that children would be able to hold their attention longer on things that they find interesting and that they like to do it voluntarily, rather than those they think are boring or are forced to finish by others. This is why it’s necessary for parents and teachers to make language classes for children fun and funny! Speaking of the factor of distraction in the environment, let’s imagine when we are in a public transportation station where passengers are walking and talking aloud, there is no way for even an adult to keep on reading or thinking on something for a long time. The higher the level of distraction of the environment is, the harder for children to keep focused. This definitely could be a problem for classroom teaching. When a few boys feel bored and begin to mess around with their neighbors, the whole classroom would be very likely to be “encouraged” by them and do the similar thing. But you don’t need to worry about this when it comes to 1-on-1 tutoring, for your child would get the whole attention of their teachers without being distracted by others. We have some tips for you on how to help your child to do better. 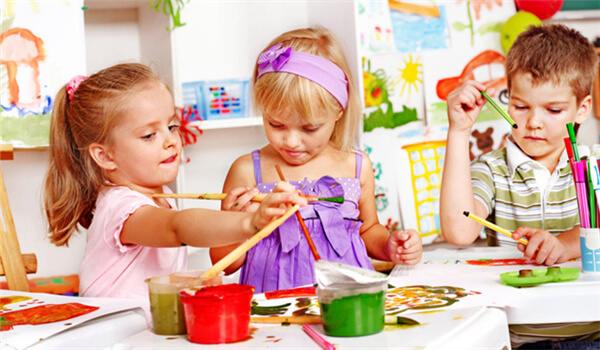 First, you should try to look for different ways to keep your child interested in the activities they start. For a long-term activity like second language learning, parents can help by searching for fun language-related games online and playing together with their children, by watching cartoon films from the target language that are with a dub of your native language, or buying/cooking some food from the country where that language is spoken. Also, parents should encourage their child frequently as they are more likely to stay interested when they feel comfortable and successful. You should always look on even the tiniest progress they made and tell them they have done a very good job. Here at Lingo Bus, our fully immersive 1-on-1 Chinese class lasts 25 minutes each time. This is the best length of class for children age from 5-12 years old! With our professional teachers and our engaging teaching material, children can always get the most of each their Lingo Bus class! Why not get a free demo class for them today by clicking the following button!